Welcome to my website on Moss and Lichens :-) What I'm trying to do here is give you some info and pictures of moss and lichens. The pictures are of the moss and lichens I have growing in my back yard. 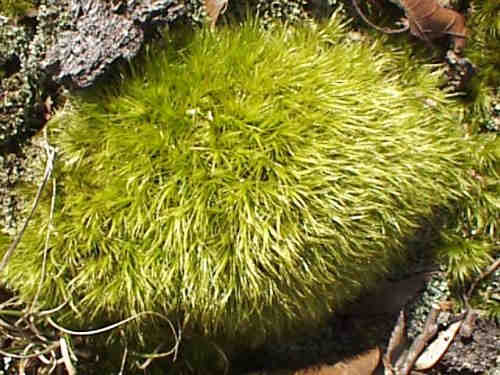 I hope to be adding new pic's with the names of the different mosses and lichens very soon. Thanks for visiting :-} These following pictures of the moss that I would recomend to use around stones in your walkways because of it's durability, thickness & density. 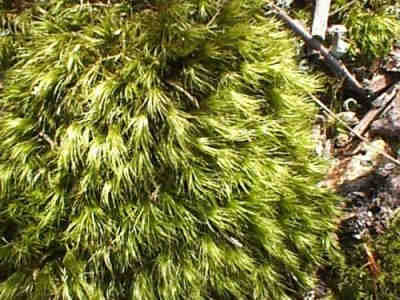 Mosses grow throughout the United States. Most do best in open shade, where there is some sun in the morning and late afternoon, but a few kinds tolerate deep shade. All thrive in very moist, fertile soil. 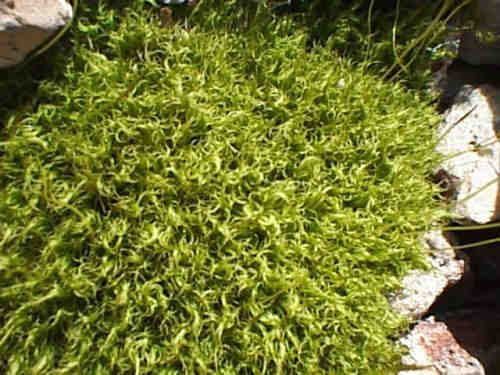 Moss is a very hardy plant, If the leaves dry out, plants are revived by soaking with water.